This is always a long and very busy weekend for me, as well as for the athletes. The way it's structured hardly allows me a break between events, and I put in two 10 hour days getting these photos. 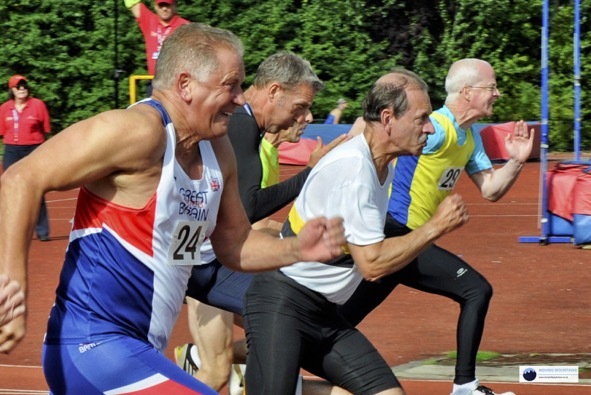 This year the multi-event championships took place at the same time as the BMAF throws pentathlon and a number of events forming the Northern Masters Championships. 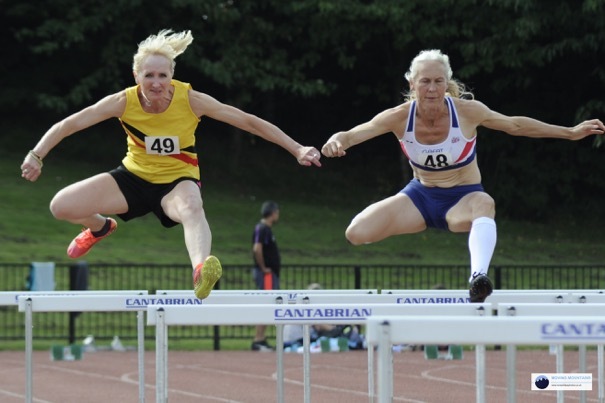 For continuity etc, I decided that I could only shoot the decathlons and heptathlons. Hah! "Only" he says! Maybe those who once again complained about lack of coverage of some events would like to have a go at doing this weekend, single-handed, themselves? It was a weekend of two halves. The Saturday was a warm, sunny day with light winds, but Sunday say thick cloud cover, cold breezes, and drizzle that slowly set in through the afternoon. Well done to those who survived this mix of weather! And, of course, well done to the army of officials and other volunteers who helped to make it happen. As always, my intention was to try to get a photo of every athlete in the decathlons and heptathlons, in each of the events. Once again, I failed, but I think I at least came pretty close! Photos covering both days are here.